4th Impact have been voted off X Factor 2015 after a sing-off with Lauren Murray. In the results Louisa Johnson, Che Chesterman and Reggie 'N' Bollie were announced safe leaving 4th Impact and Lauren in the bottom two. 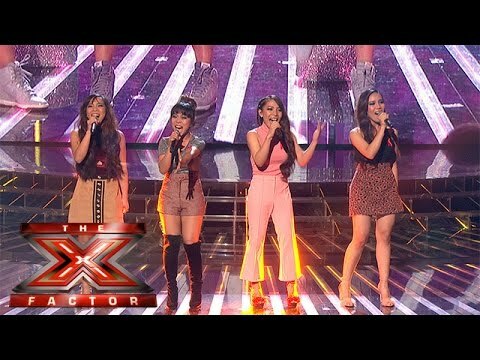 In the sing-off 4th Impact sang 'I'm Telling You' by Jennifer Hudson and Lauren sang 'Vision Of Love' originally performed by Mariah Carey. In the judges vote Cheryl and Rita backed their own acts to stay in the competition. Rita said, "For me there is a future for Lauren,"
Cheryl said, "I have a lot of love and respect for everyone on the stage. Lauren that was fantastic but my heart and my soul is with my girls"
Nick sent 4th Impact home saying, "Sorry, I'm going to send home 4th Impact,"
Simon sent Lauren home without giving a reason saying, "I think I'm going to send Lauren home,". This sent the vote to deadlock and it was announced 4th Impact had the fewest public votes. Earlier there was a group performance from the remaining finalists, who sang 'Earth Song' and the guests were Carrie Underwood and judge Rita Ora with Sigma. 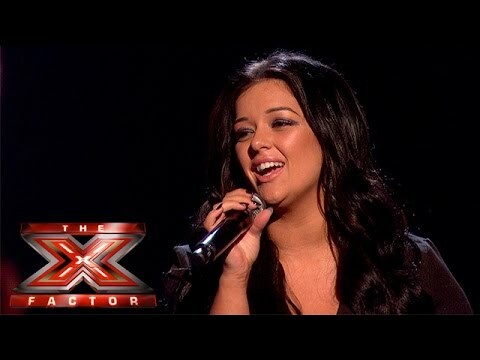 X Factor is back next Saturday for the final-four. Louisa Johnson is the favourite to win the competition at 2/5, and Reggie 'N' Bollie next at 11/2, Lauren Murray, 13/2 and Che Chesterman, 8/1 (bet365). I'm pretty meh tbh (I mean it was obviously for controversy but I'm not too fussed. Plus, Simon will sign them up anyway). (Yes, this one is coming with a poll). So disappointed, it was made even worse by the fact that my top 2 were the bottom 2 I'll focus all my votes on Lauren from now on and hope she sails through to the final. Heartbroken actually.. they deserve to be there instead of Lauren..
Not too bothered the 2nd song they did and how they did it didn't help them last night ad for me they were just, the worse in the sing off too. I'm disappointed, but I feel like they will be successful anyway so I'm not as sad as I thought I'd be. Whereas some people left have no chance at a successful career unless they win, so it's fair I guess. Disappointed they're gone, but I'm happy Lauren survived, Che or Reggie and Bollie should have gone over everyone tonight. I'm done with X Factor this year. I don't really care about anyone that's left.